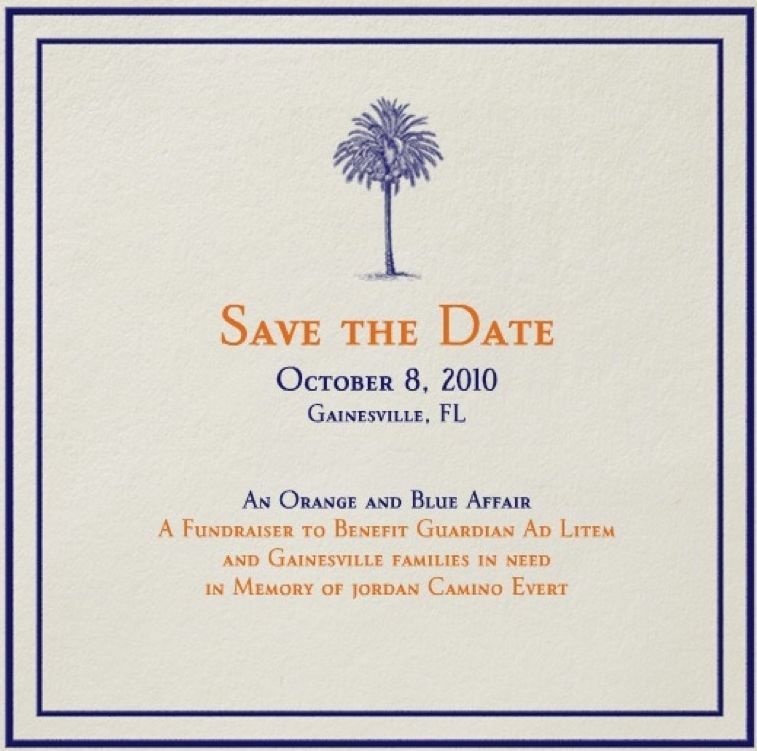 Please join us for the fairest and squarest Orange and Blue Affair, a benefit and kick-off celebration to the 2010 UF v LSU gameday weekend. All proceeds will stay in Gainesville to directly help the families most in need and the causes Jordan loved. Jordan’s family and friends are looking forward to getting everyone together and celebrating for a good cause!